One of my favourite accounts I’ve ever worked on was for the SABC during the World Cup. Feel it! It is here! Groovin Nchabeleng is an award-winning South African advertising and marketing guru with over 25 years industry experience. 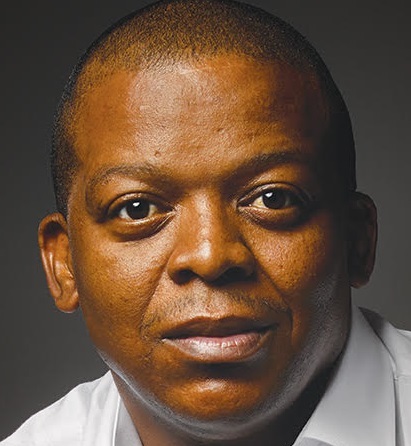 He is the current executive chairman of the Blueprint Group, a 100% black-owned advertising agency that has been in existence for over 18 years. Groovin is former CEO and shareholder of Leo Burnett South Africa/MMS Group, a division of Publicis Worldwide, the third largest communications group in the world with 65 000 employees in more than 83 countries. With more than R1 billion in billings, MMS Group is the largest communications group in South Africa. The Money Show’s Bruce Whitfield interviewed Nchabeleng for his weekly “ShapeShifter” feature. My first ever flight was in Business Class flying to the USA… I was a hero amongst my peers! I sold my shares back to Publicis so I could focus on Blueprint Group. The ANC awarded Blueprint the account for the local elections in 2011. I created my own body lotion.